Turtles In Time Re-Shelled is a reasonably good game that is better in many ways than others and I found it to be quite enjoyable as a whole. The game is very good graphically and is really smooth running but as I am a bit older now I found the story line to be very primitive and predictable but i`m sure for the younger generation it will be much more exciting. 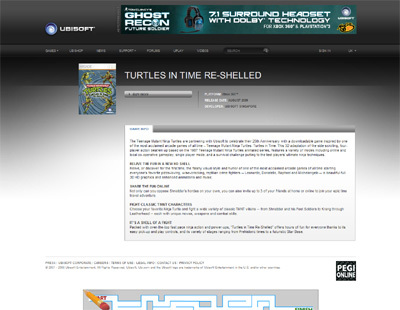 We have also compiled a Review System for this, of which Turtles In Time Re-Shelled is Rated as Three Stars, the third highest possible score available from the Game Review Team.